Sometimes you go to restaurants and see menu items listing that they've been cooked in a particular herb butter be it sage, rosemary, etc. You salivate, embarrassingly wipe the drool off the menu, and order in anticipation. What if I were to tell you that you really needn't go out to a fancy restaurant to get this seemingly exotic butter? What if I told you this was actually how I use up the last few pats of butter I have as well as herbs? Duc has been slowly working at growing an herb garden for me (so awesome of him) but sometimes the supply isn't enough. That results in having to buy herbs outside and gosh darnit if the portions aren't HUGE! I don't end up using it all so I turn my extras into fodder for herb butter. 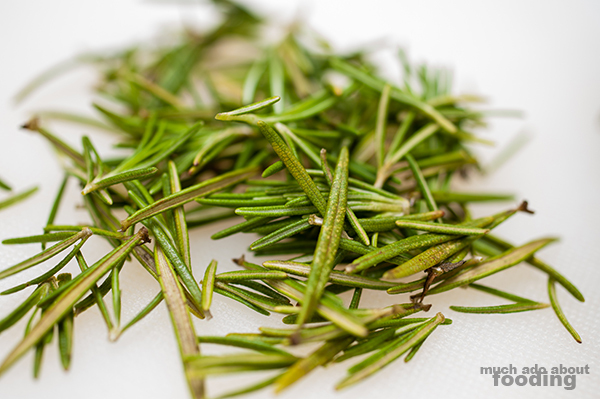 Pictured in this post is rosemary for rosemary butter, a common menu item ingredient. It's easy enough to make your own, and you can just toss it into the fridge to have on hand when you're feeling decadent. Some examples of how I used mine were in my Homemade Chicken Noodle Soup (rosemary butter), Harissa Shrimp with Sage Butter Pasta, and Red Wine Pasta in Mushroom Cream Sauce (sage butter). You're going to kick yourself once you see how easy this is. The quality of butter is going to be important. I would suggest going with unsalted too so that you don't have anything tainting your stock. You'll have to let it soften in room temperature to make it easier to handle. 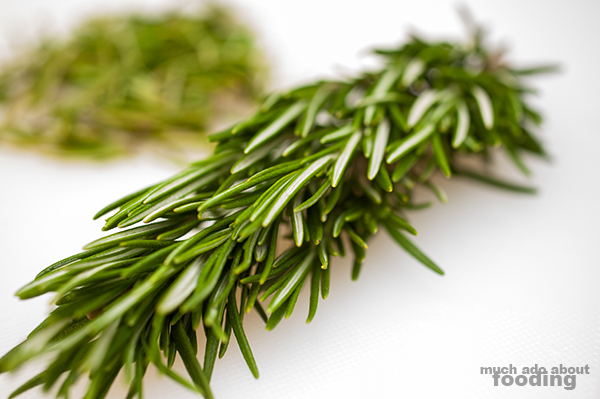 In the meanwhile, chop up your herb of choice and wipe the blade into the butter to preserve oils. I suggest rosemary, sage, pineapple sage, or any other that releases a lot of aromatic and natural oils (these infuse into the butter). 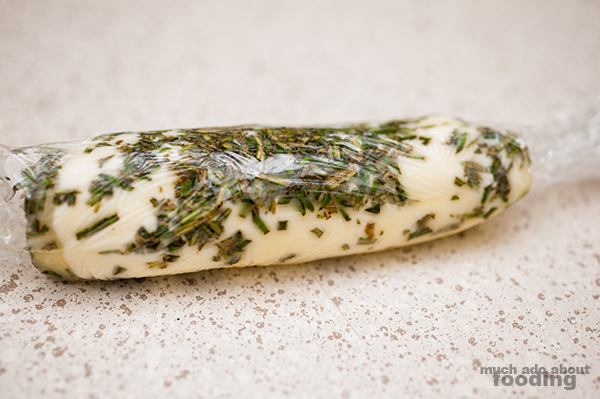 Roll out plastic wrap and set both the butter and herb side by side on it. 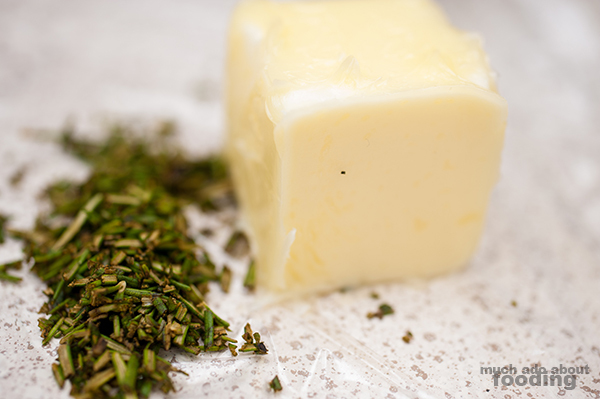 Wrap over the butter to flatten it and then roll onto herb. Massage the pieces well into the butter with the plastic wrap so you don't get your hands dirty! 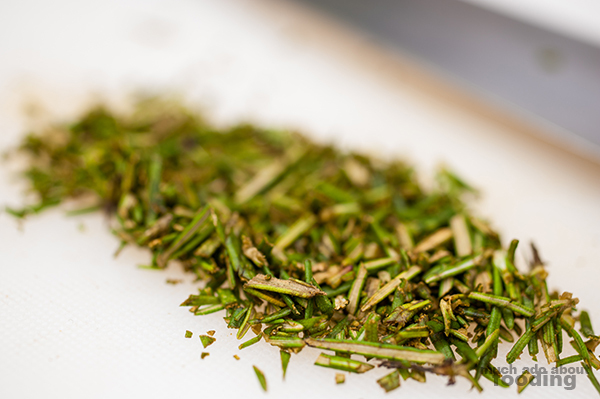 Depending on your ratios, you might end up with more herb than butter. To pretty it up, undo any crinkled parts of the plastic wrap and then roll altogether tightly. I encourage you to put yours into this log format to make sure you accurately measure portions later. Go about the height & width of a normal stick of butter. Put it back in the fridge to harden, and enjoy!